​Monsters to help keep you organized. 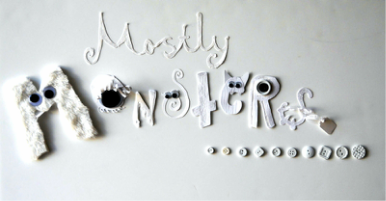 "Mostly Monsters" likes the PRACTICAL to be CUTE too! We all carry purses, wallets, and things with a practical purpose. But here at "Mostly Monsters Chula Vista", we DON'T think practical has to be boring or ugly! Add a little art and whimsy to your life with our ever-expanding line of goodies for your purse, your desk, and your home! 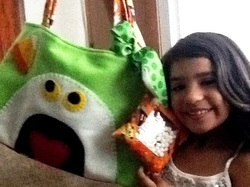 Here, a lucky customer shows off the limited edition HALLOWEEN BAG she won at a local event! "Kleenex Kozies" for your home or desk fit standard KLEENEX-brand tissue boxes! 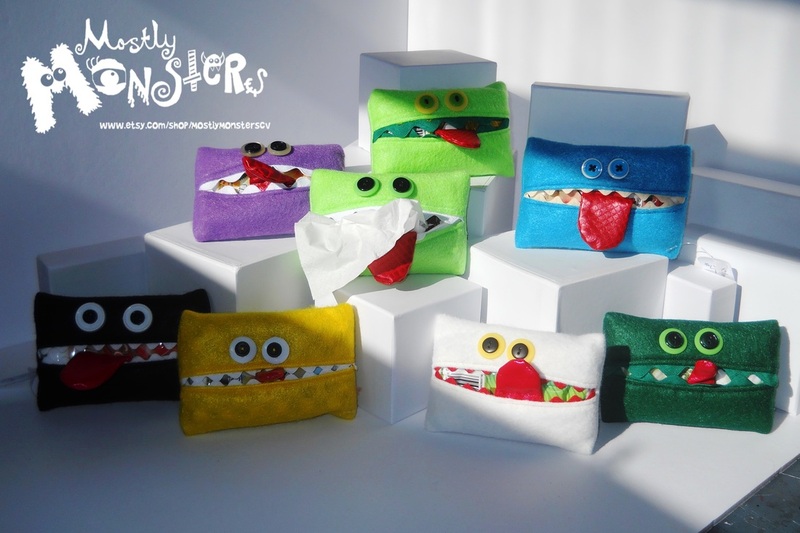 Monster Sewing kits are great to keep in your purse or desk for quick sewing & button repairs...complete with scissors! Wood & Papier Mache trinket boxes are great for keeping your desk or dresser organized! This mischievous Monkey keeps travel tissues clean in your pocket or bag! keeping tissues clean and ready to use!